How do I terminate a mutual covenant agreement? - Answer from the MyAttorneyHome FAQ desk. 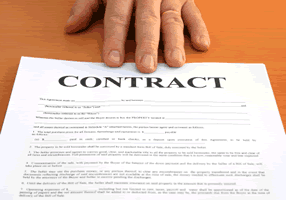 Home › Questions › Contract Law › Can I terminate a mutual covenant agreement? Can I terminate a mutual covenant agreement? A Deed of Mutual Covenant (DMC) is a legally binding agreement entered into by multiple parties which establishes rules and regulations concerning the rights and liabilities of a property. The agreement can protect a space or features which is owned jointly or shared by all entities. This agreement is common in large, development buildings where the owners of property are considered co-owners of the entire development. A mutual covenant agreement is a contract and as such is protected under the laws and regulations of contract law. In fact, contracts can create the private laws which guide or govern the business or private relationships between parties. The contract establishes mutual promises between the parties. Each party must assent to the terms outlined in the contract and the rights and actions of each party are determined by what is defined within the terms of the contract. If one party fails to meet their contractual obligations it is considered a breach of contract. The party injured by the breach may have the legal right to take the case to court and ask for monetary relief to restore them to their previous position. Mutual covenant agreements are commonly used when property owners want to agree to restrict the use of land for some specific purpose. Although this mutual covenant is signed privately among property owners within a community it is still considered a contract and may be binding and legally enforced through the courts if the contract is breached. Why would neighbors want a mutual covenant agreement? Covenant agreements are used when developers are building developments, condominiums, or other types of housing arrangements. The goal of the agreements is to maintain the standards, usages, and beauty of particular areas of the development for the betterment of all property owners. Proponents of covenant agreements argue that if all parties agree to the standards within the development the property is more likely to retain its value. Unfortunately, many potential homeowners do not read all the covenant agreements associated with their property and may not realize there may be restrictions for the use of their land. For example, homeowners may be barred from parking a trailer or boat in their front yard or a tree house. The terms of the mutual covenant agreement, however, remain binding even if the property owner failed to understand or review the contract prior to signing it. Although most mutual covenant agreements pass with the land to all subsequent landowners and are not terminated when one property owner moves (assuming the covenant is included in the deed transferring the property), there are other types of neighborhood covenants which may naturally expire or have other terms of termination within the contract itself. For example, homeowners may create covenants restricting the sale of property for commercial purposes for a term of 25 o5 30 years. Without more information about the specific mutual covenant in question it’s difficult to say whether or not it can be terminated. The user could review the terms of the contract or talk to a contract lawyer for more information. What are my rights when being evicted from a rental property? What do you do if your roommate breaks the terms of your lease agreement? Can I take legal action against an electric company charging me excessive fees? Can landlord deny my rental application if I am a felon? Can I sue Taco Bell if I got food poisoning? It may be possible to file a personal injury lawsuit against a company if you were poisoned by their food. We can connect you with a local attorney right away! What is the age limit for SSDI? How are SSDI payments calculated? How can I check my work credits for SSD? How soon can I file bankruptcy again? What is the personal injury statute of limitations in my state? When can the police stop and frisk me? Can I be arrested for DUI without taking a chemical test? What should I do if I can't afford to pay my taxes? Do most malpractice cases settle or go to trial? ATTENTION: MyAttorneyHome.com is not a lawyer referral service or a law firm and the information contained herein is not legal advice. Using MyAttorneyHome.com does not create an attorney-client relationship between any attorney listed on the site and the user. Attorneys or lawfirms listed on the site do not in any way constitute a referral or endorsement by MyAttorneyHome.com.